"Who says it's a villain? Make no assumptions. I'm saying nothing. I've found myself in another world which I can answer no questions about." The actor also added that he is a longtime fan of the Marvel comic book universe, expressing his excitement to be a part of their "ever expanding entertainment empire." "I grew up on Marvel comics, so it's very exciting to be part of their ever expanding entertainment empire. It's great. I love the movies, I love the TV shows that they do, so I'm very pleased to be part of one. I grew up an absolute devotee to the worlds of Marvel, so the fact that they've expanded now into TV and film is something that I think I sort of fantasied about when I was younger. So now to be part of it, to be on the other side of it is a thrill." 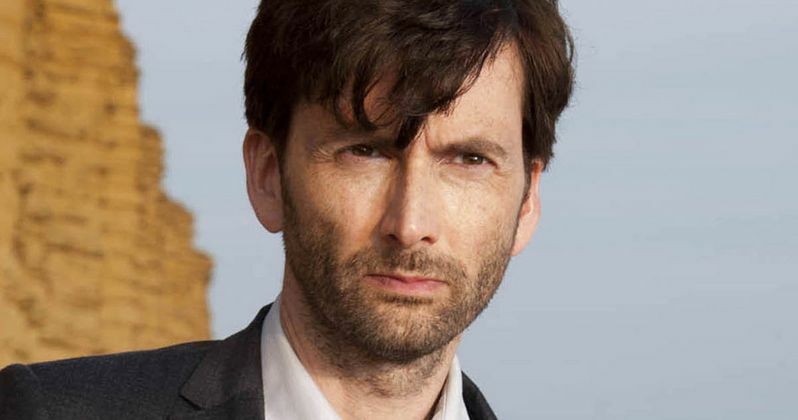 David Tennant joins Krysten Ritter as Jessica Jones and Mike Colter as Luke Cage in the series, which centers on the title character opening up a detective agency that investigates cases involving people with extraordinary abilities in New York City. This week's announcement revealed that Kilgrave is, "an enigmatic figure from Jessica's past" whose resurgence, "will send shockwaves through the former super hero's world." Do you think The Purple Man is a villain? Or could he be something more complex?